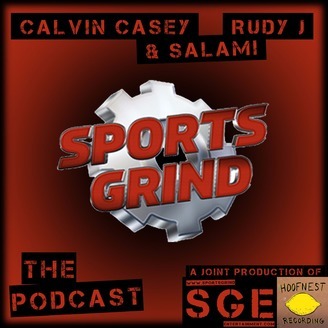 The Sports Grind Podcast is made of Calvin Casey, Rudy J and Salami, airing weekdays 2-5 pm on Ticket 760 AM in San Antonio, Texas as well as in 24 other major media markets broadcasting through SB Nation.The Sports Grind is also on podcast every day after the show. Sports Grind Entertainment is an independently owned sports talk show, offering up to date sports news and announcements. Main topics are on NBA basketball, NFL and College football, baseball, and soccer. The trio also discuss, Golf, boxing, MMA, UFC and Olympics. The guys set out to have an urban vibe but still want to be appealing to all. They're just three laid back guys who don't take themselves too seriously. Keys to victory have always been to just be themselves and let their natural chemistry of knowing each other 20 plus years shine thru. A promise to the listeners is to continuously provide the nation's’ sports fans with a friendly and personable show, inspiring programming will continue to be informative, educating, and entertaining to all listeners. Keep grindin! 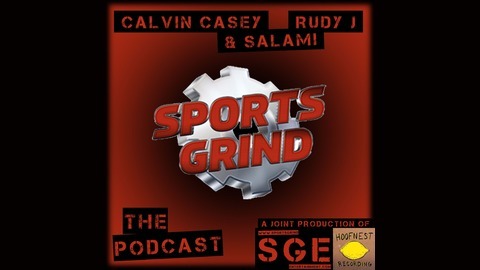 Thursday edition of The Sports Grind is on with Calvin, Rudy J and Salami, NBA playoff update and Spurs Nuggets game 3 tonight, MLB check in, all that as well as much much more. Check out the latest sports news at sportsgrindentertainment.com, download the podcast, like us on Facebook or add Calvin Casey as a friend. Also you can follow The Sports Grind on Twitter @ sportsgrind and you can find Rudy J on Twitter @ RudyJay711, on Snapchat and IG @ RudyJay760. You can hear this podcast and others at hoofnest.com and as always you can call the show every weekday at 1-800-777-2907. Keep Grindin!